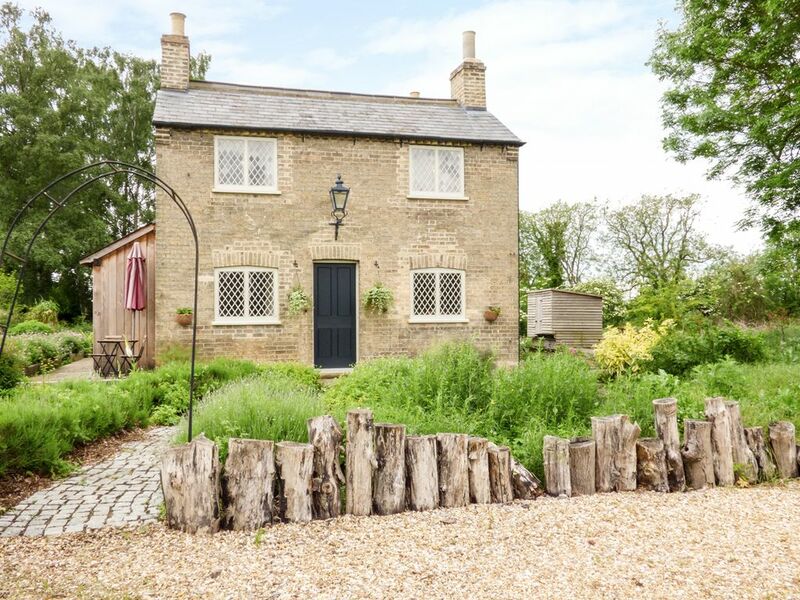 Shortmead Cottage is a Victorian farm cottage situated on the Shortmead Estate, behind the owner's 18th century manor house, one mile from Biggleswade in Bedfordshire. This cottage sleeps four people in two bedrooms, consisting of one double and one twin, as well as a bathroom with free-standing double-ended bath and walk-in shower. The cottage also has a kitchen with dining area and a sitting room with study area and multi-fuel stove. Outside there is off road parking for two cars and lawned gardens with patio, furniture and small vegetable plot. Shortmead Cottage is an ideal holiday home for visiting the many nearby attractions, including London, which can be reached in less than 40 minutes by train. Amenities: Gas central heating with underfloor heating on ground floor and bathroom and multi-fuel stove. Electric oven and hob, microwave, fridge/freezer, washer/dryer, dishwasher, TV with Freeview, DVD, CD, WiFi, selection of books, games and DVDs. Fuel, power and starter pack for stove inc. in rent. Bed linen and towels inc. in rent. Off road parking for 2 cars. Lawned gardens with patio, furniture and small vegetable plot. Sorry, no pets and no smoking. Shop and pub 1 mile. Note: The cottage stairs are steep. Note: Some noise can be heard from the railway when outside. Note: Shortmead House is sometimes used as a wedding venue. Town: The Bedfordshire market town of Biggleswade is an ideal base for exploring the neighbouring counties of Essex, Suffolk and Hertfordshire. Biggleswade offers shops, restaurants and takeaways, plus just three miles away is the Shuttleworth Collection, which is an aeronautical and automotive museum located at the Old Warden airfield. Just 20 miles away is Woburn Abbey with its famous safari park, and London can be reached in 35 minutes by train. Gas central heating with underfloor heating on ground floor and bathroom and multi-fuel stove. Electric oven and hob, microwave, fridge/freezer, washer/dryer, dishwasher, TV with Freeview, DVD, CD, WiFi, selection of books, games and DVDs. Fuel, power and starter pack for stove inc. in rent. Bed linen and towels inc. in rent. Off road parking for 2 cars. Lawned gardens with patio, furniture and small vegetable plot. Sorry, no pets and no smoking. Shop and pub 1 mile. Note: The cottage stairs are steep. Note: Some noise can be heard from the railway when outside. Note: Shortmead House is sometimes used as a wedding venue. Note: Please contact us to discuss a Friday arrival during the Christmas & New Year period.